VJ Books Presents Author Steve Alten! Steve Alten (born 1959) grew up in Philadelphia, earning his Bachelors degree in Physical Education at Penn State University, a Masters Degree in Sports Medicine from the University of Delaware, and a Doctorate of Education at Temple University. Struggling to support his family of five, he decided to pen a novel he had been thinking about for years. Working late nights and on weekends, he eventually finished MEG: A Novel of Deep Terror. Steve's second release, The Trench was published in 1999 where it also hit best-seller status. His next novel, Domain and its sequel, Resurrection were runaway best-sellers in Spain, Mexico, Germany, and Italy, with the rights selling to more than a dozen countries. Steve's fourth novel, Goliath, received rave reviews and was a big hit in Germany. It is being considered for a TV series. 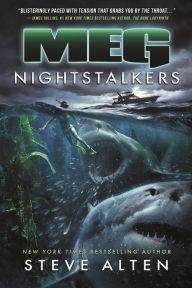 MEG: Primal Waters was published in the summer of 2004. A year later his seventh novel, The Loch, hit stores -- a modern-day thriller about the Loch Ness Monster. Steve's eighth novel, The Shell Game, is about the end of oil and the next 9/11 event. 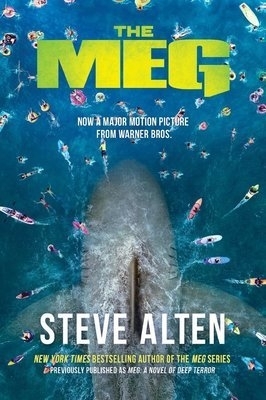 Steve's ninth novel, MEG: Hell's Aquarium , is considered to be the best of the best-selling MEG series. Steve says his best novel is Grim Reaper: End of Days. The story, a modern-day Dante's Inferno, takes place in New York when a man-made plague strikes Manhattan. Over the years, Steve has been inundated with e-mail from teens who hated reading ...until they read his novels. When he learned high school teachers were actually using his books in the classroom ( MEG had been rated #1 book for reluctant readers) Steve launched Adopt-An-Author, a nationwide non-profit program designed to encourage students to read. Teachers who register for the program (it's free) receive giant shark posters, free curriculum materials, student-author correspondence, an interactive website, and classroom conference calls/visits with the author. To date, over 10,000 teachers have registered, and the success rate in getting teens to read has been unprecedented. Steve now spends half his work week working with high schools. For more information click on www.AdoptAnAuthor.com. Author Signed Hardcover Book 2002 NY: Forge First edition, first printing, mint, new/unread in a flawless dust jacket, signed by the author. Each dust jacket is protected in an acid-free archival quality acetate cover. Author Signed Hardcover Book October 2010 NY: Variance First edition, first printing, mint, new/unread in a flawless dust jacket, signed by the author. Each dust jacket is protected in an acid-free archival quality acetate cover. Author Signed Hardcover Book. Dec 2018 AR: A&M Publishing First limited edition, first printing, mint, new/unread in a flawless dust jacket, signed by the author. Each dust jacket is protected in an acid-free archival quality acetate cover. 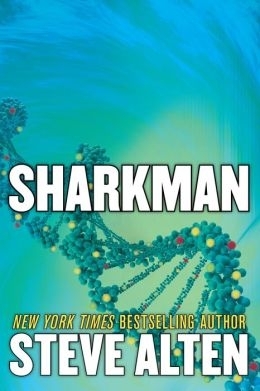 Author Signed Hardcover Book 2005 NY: Tsunami Books First edition, first printing, mint, new/unread in a flawless dust jacket, Each dust jacket is protected in an acid-free archival quality acetate cover. Author Signed Hardcover Book. Dec 2018 AR: A&M Publishing First limited edition, first printing, mint, new/unread in a flawless dust jacket, signed and numbered by the author. Each dust jacket is protected in an acid-free archival quality acetate cover. Author Signed Hardcover Book June 2016 NY: Tom Dougherty Associates First edition, first printing, mint, new/unread in a flawless dust jacket, signed by the author. Each dust jacket is protected in an acid-free archival quality acetate cover. Author Signed Hardcover Book August 2013 NY: Forge First edition, first printing, mint, new/unread in a flawless dust jacket, signed by the author. Each dust jacket is protected in an acid-free archival quality acetate cover. Author Signed Hardcover Book October 2011 NY: Doherty First edition, first printing, mint, new/unread in a flawless dust jacket, signed by the author. Each dust jacket is protected in an acid-free archival quality acetate cover. Author Signed Hardcover Book 2004 NY: Forge First edition, first printing, mint, new/unread in a flawless dust jacket, signed by the author. Each dust jacket is protected in an acid-free archival quality acetate cover. Author Signed Hardcover Book 2004 NY: Forge First edition, first printing, fine in a fine dust jacket, signed by the author, remainder marked. Each dust jacket is protected in an acid-free archival quality acetate cover. Author Signed Hardcover Book 2004 NY: Forge First edition, first printing, fine in a near-fine (crease to front flap) dust jacket, signed by the author. Each dust jacket is protected in an acid-free archival quality acetate cover. 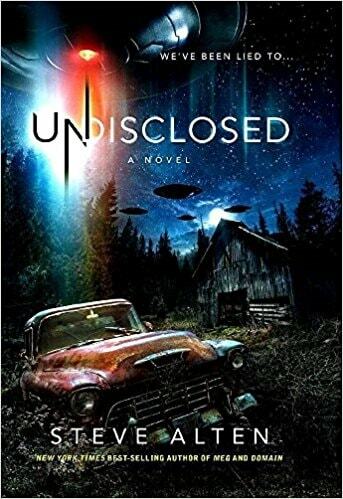 Author Signed Hardcover Book October 2014 NY: Taylor Trade First edition, first printing, mint, new/unread in a flawless dust jacket, signed by the author. Each dust jacket is protected in an acid-free archival quality acetate cover. Author Signed Hardcover Book June 2017 NY: A and M Publishing First edition, first printing, mint, new/unread in a flawless dust jacket, signed by the author. Each dust jacket is protected in an acid-free archival quality acetate cover. Author Signed Hardcover Book February 2015 NY: Rebel Press First edition, first printing, mint, new/unread in a flawless dust jacket, signed by the author. Each dust jacket is protected in an acid-free archival quality acetate cover. Author Signed Bookplate. Self-adhesive label, approximately 3" x 4" (though sizes may vary slightly), signed by Steve Alten. Author Signed Bookplate. Self-adhesive, limited edition Resurrection label, approximately 3" x 4" (though sizes may vary slightly), signed by Steve Alten.